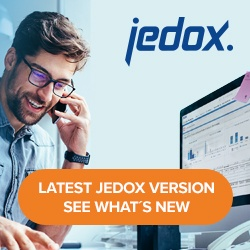 Jedox Integrator can import or export structured text files, known as flat files or CSV files (comma-separated-value files). Name of the file in CSV format. The syntax of the filename is location-specific. More info in article “Locations for Filebased Connections“. If set, the entries of the first line are used as column headers. Separators between the columns in the text file, e.g. “,”. The enclosure character of the columns. Possible enclosure characters are “, ‘ or none. The most prevalent character encodings are “UTF-8” (default), “ASCII”, and “latin1” (Windows standard). From this list you can also enter manually a character code into the field ‘Encoding’. Note that this connection only supports file encodings as provided by the Java Runtime Environment. If set, the character “\” invokes an alternative interpretation of the subsequent character.